Termite Inspection | ABC Pest Control Inc.
Termites can go undetected for years and can become very costly if left untreated. According to the National Pest Management Association, termites cost Americans more than $5 billion in damages each year! That’s more than fires and floods combined! Termite damage is not covered by insurance, and that is why it’s crucial to hire a licensed pest control company to help protect your home, or business, from these destructive pests. 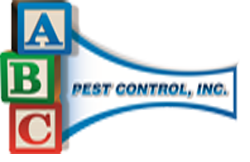 ABC Pest Control specializes in the inspection, treatment, and control of termites in the Tampa Bay area. Our licensed technicians are involved in ongoing training to ensure that our customers receive, not only excellent service but also, the latest top of the line technologies available. This aids us in being able to properly identify and solve any termite problem in the Tampa Bay area. Termites can be very hard to spot. They eat wood from the inside out; preferring the soft spring wood growing in layers deep inside wood construction materials, such as fences, fallen branches, firewood, and even wood mulch. You might not be able to see their handiwork until they’ve caused a lot of damage, and even spread to multiple locations on your property! Call ABC Pest Control, Inc. today to have your home or business inspected for termites.